LUCKY DRAW - This is your chance to win a car!! Note: Submit the event tickets at ticket booth on event date to get a replacement lucky draw ticket!! KHAKH PRODUCTION has the privilege of introducing the following aspects of the show in Melbourne for the first time. It’s a Multicultural Event as the local Australian players are participating in the game of Kabaddi that is an Indian game played from a long era. Gates will open at 8:30 AM for the 9:00 AM start. Please be there early to avoid unnecessary rush. Australia International KABADDI is an attempt by KHAKH PRODUCTION to promote sports among the youth. An initiation to motivate the young generation to embrace the opportunity of being part of multicultural event and society. It is also an instigation of extending different cultural values and their rich histories among diverse population. Please take the print of the ticket as a proof of purchase, without a proof of purchase entry will not be allowed. Each tickets barcode will be scanned at the venue for entry. Premier Tickets is an online event marketing and ticketing agency. 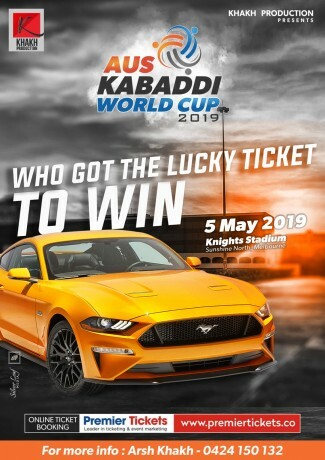 Premier Tickets will NOT be responsible for any changes related to the event schedule, artist, venue or cancellation and refunds related to the tickets for AUS KABADDI WORLD CUP 2019. 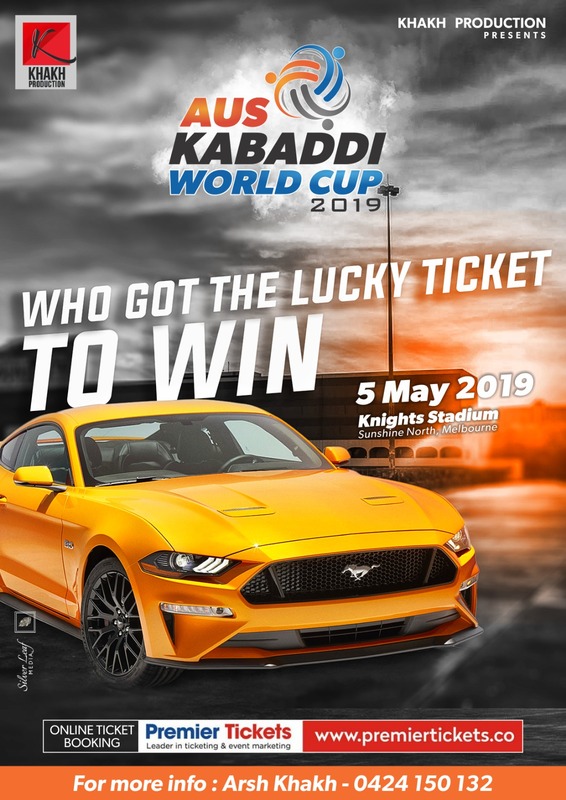 Premier Tickets Australia is proud to be the online ticketing partner for AUS KABADDI WORLD CUP 2019 @ Melbourne Knights Stadium, Lot 2 Somers St, Sunshine North VIC 3020. Premier Tickets is Australia’s leading online event ticketing & marketing solution provider. We act as a channel between the event organizers and customers helping our clients with hassle free event ticket booking, event marketing & promotion solutions.